Did you know that wooden driveway gates can add a stunning curb appeal to your property? These gates play numerous roles including securing your property, keeping your pets under control and offering privacy. The driveway gates you get from Sheds to Last are great deterrents to trespassers and burglars. Choose driveway gates from Sheds to Last and enjoy We are arguably the best gate supplier in Devon and in the UK. Every gate you pick is carefully crafted using conventional and new technologies. We apply best practices and we only use high quality materials in construction. Choose driveway gates with striking styles and finishes. From flat top, bow we will make your entrance remarkable with gates cut from the finest redwood pine. At Sheds to Last, we believe that driveway gates need to look stunning. Our experts have years of experience and they will exceed your expectations. 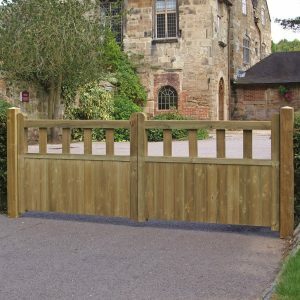 Check out our website and see the gate we have for our Devon and UK customers. 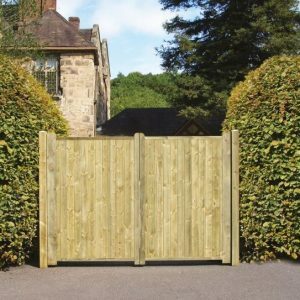 Whether you want a double or single opening driveway gate, contact us without delay. Our Driveway gates come in many shapes and sizes. We keep discovering new designs while our traditional styles are equally relevant. 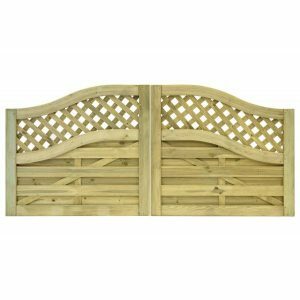 Our gates come made out of softwood, hardwood, and they are pressure treated. We deliver the gates free of charge and our prices are pocket friendly.